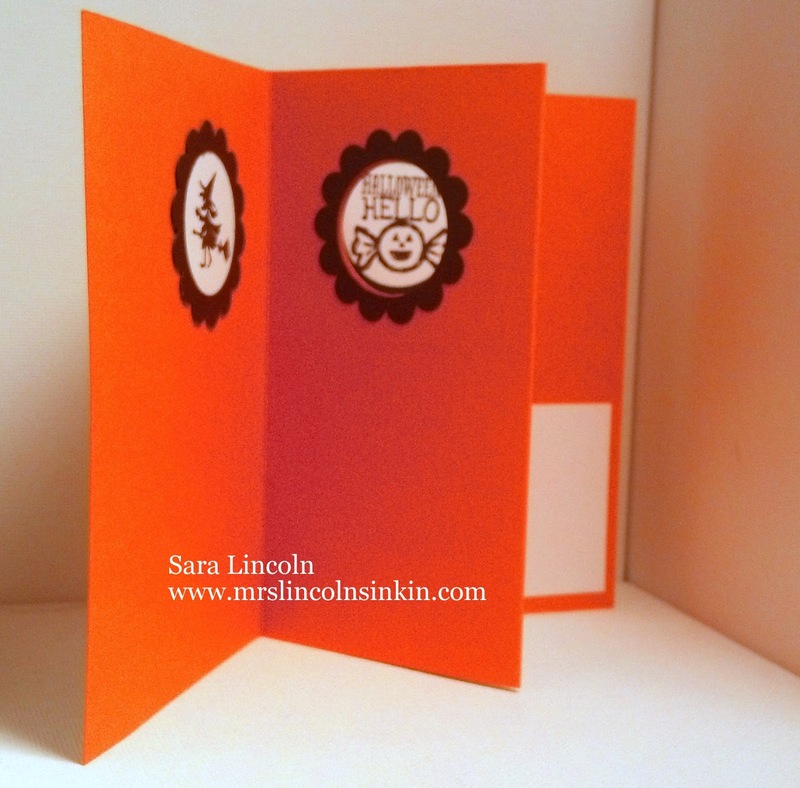 Mrs. Lincoln's Inkin: Holiday Mini Blog Hop!!!! Hello Stampers!!!! Welcome to Mrs. Lincolns Inkin'!! 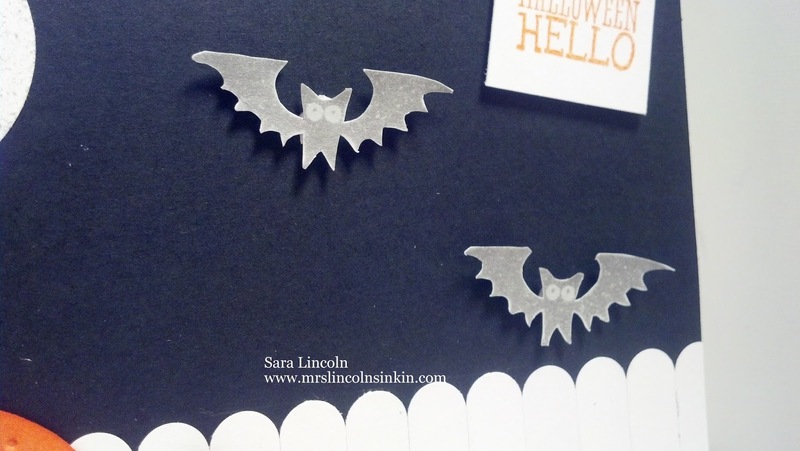 Today's post is a very special post, Mrs. Lincolns Inkin' is involved in her very first Blog Hop!! I am so excited!!! If you are participating in the blog hop today then you should of just came from Lisa's site at Pretty Pastimes! Aren't her creations great???!!! For my share's today i am highlighting on Halloween. I love Halloween and getting my little one all dressed up as something cute! I love the pumpkins, the cider, the smell.. the colors.. i just love everything about "Fall" in general. Including Halloween. All of my projects today are showcasing items that are available right now in the Holiday Mini. You can view that total catalog Here. For my first card i used the Halloween Happiness stamp set in the Tangerine Tango. I backed my image with a piece of Old Olive card stock which is cut 5/8" of an inch smaller all the way around from the base of my card which is average size of 5 1/2" x 11" scored at 5 1/2". But wait... there is more to this card than meets the eye!!! It's actually a File In The Middle Card! Oh i love it!!!!! I created a picket fence with my Word Window Punch (LOVE IT!!) and my pumpkins with my 1 1/4" Circle Punch and Large Oval Punch and my moon with the 1 3/8" Circle Punch. I love using punches to make different things. 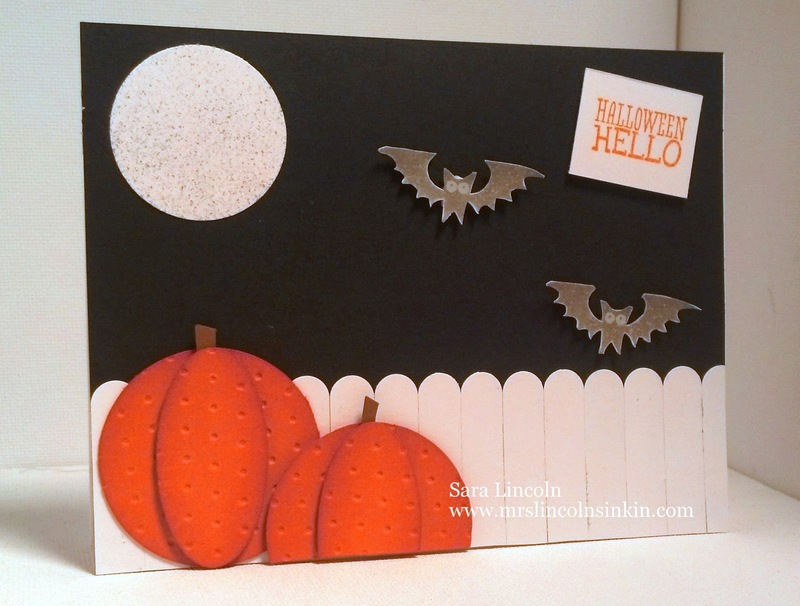 Again, i used the Halloween Hello stamp set. That set is just so stinking cute!!! I stamped my bats from the set onto a piece of Whisper White using Smokey Slate. I used Pumpkin Pie for my pumpkins (of course, lol) and ran them through my Big Shot using the Perfect Polka Dot embossing folder. I then sponged the edges with my Pumpkin Pie ink and gave them a little stem with some Soft Suede card stock. wow, very nice. I especially love your last project. I can see your picket fence on a scrapbook page. Love the different fold cards and must say I've never done this one before but will definitely be giving it a try. Love it! 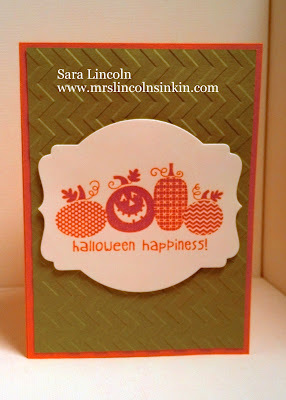 Love the punch art pumpkins great Halloween card. Love your cards, Sara! 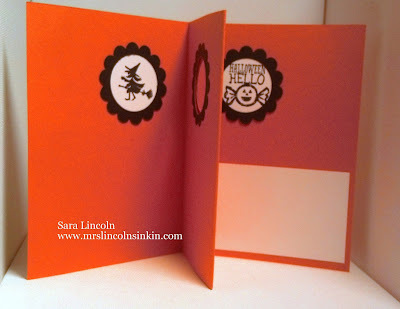 Great idea with the fold so you can see one stamp or the other through the middle of the card. 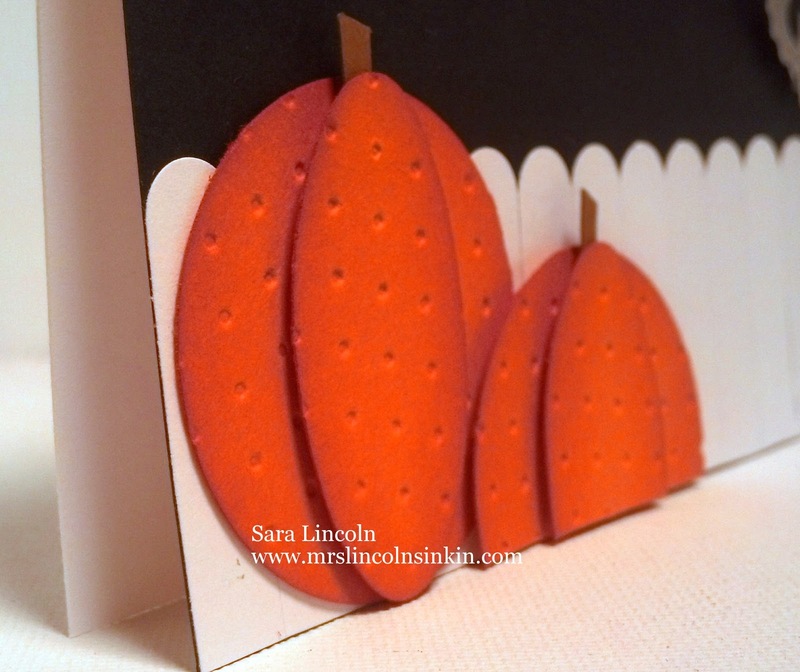 Love your punch art pumpkin card too. So cute! Great job! I love all your projects! Especially the cute pumpkins by the fence card!